The Giulia Evo evolves the Giulia-range to the next level of integration. Keeping all Sensa's known features such as Covercap Integration, Di2 Optimization, Air Flow Fork, Race Line Seatpost and Integrated Clamp, and improving overall riding performance. 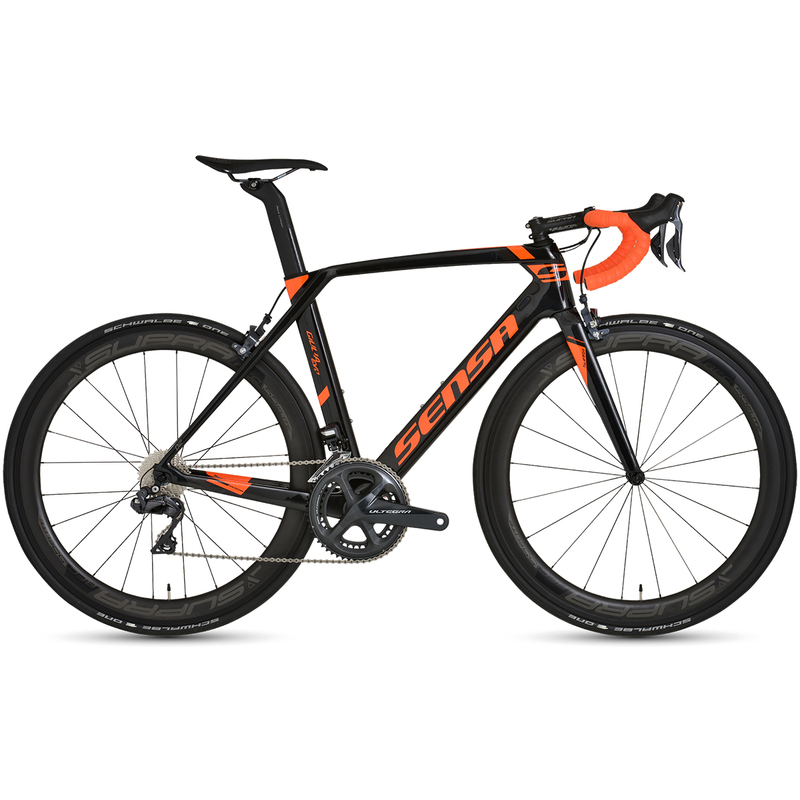 Making the frame tubes higher and more flat to give you an aero-advantage, Sensa also were able to improve the overall stiffness to further increase stability on the fastest descents out there. With 410mm chainstays the handling is precise, and with the possibility of fitting 28mm tyres, you can ride this bike pretty much anywhere. PLEASE NOTE: All of our bikes are built to order. This usually takes between 8-10 working days depending on time of year. Image is for illustration purposes only, please see specification above. Wheels are Supra RA Pro and not as pictured.